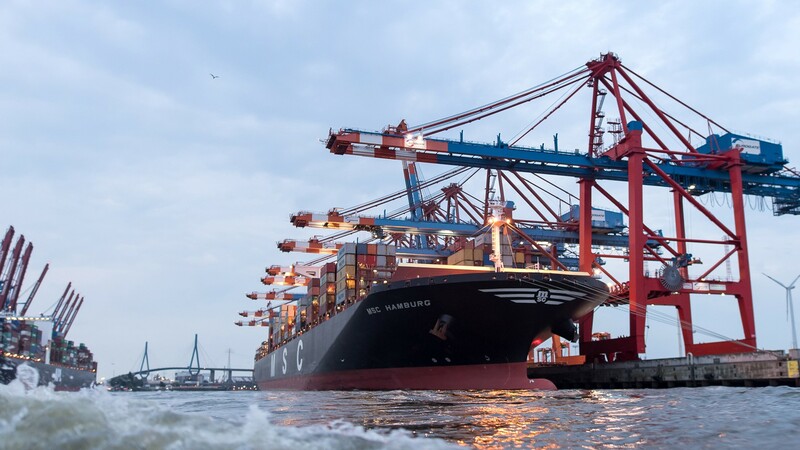 Due to the design phase in the ports of Hamburg and Bremerhaven have a shift of market shares from them to Antwerp and Rotterdam and Wilhelmshaven. the Institute of Shipping Economics and Logistics’ Sönke Maatsch said this shift has taken place at the final two quarters of 2018 as published in January by the Global Port Tracker North Europe report. Part of the import cargo of ships is discharged before their port call to Hamburg and Bremerhaven Since they are rarely the first port of call on intercontinental sailing schedules. Still this call to action is not sufficient to make megaships draught suitable for the ports. Dr Maatsch said “vessels do not arrive totally charged, but with the introduction of the newest 20,000+ TEU ships, it is still too much. Firstly, we saw the transhipment go from the German ports to Rotterdam and Antwerp, so that the Asian services could still call Bremerhaven and / or Hamburg. In Antwerp or Rotterdam we see recently an increasing number of services running. Dr. Maarsch stated that while it seems that Hamburg and Bremerhaven aren’t cut off from business yet , the tide-independent draught of 13.5m is far below the maximum ship draught of the latest vessels with 16m. He continued by saying that although no alliance can afford to not call the two major German ports, they can use transhipment or interlining strategies to prevent them from calling for every vessel. The disadvantage of competition will be weaker but it will not disappear totally.” He ended his statement.